This is a grand older home with two rentals. 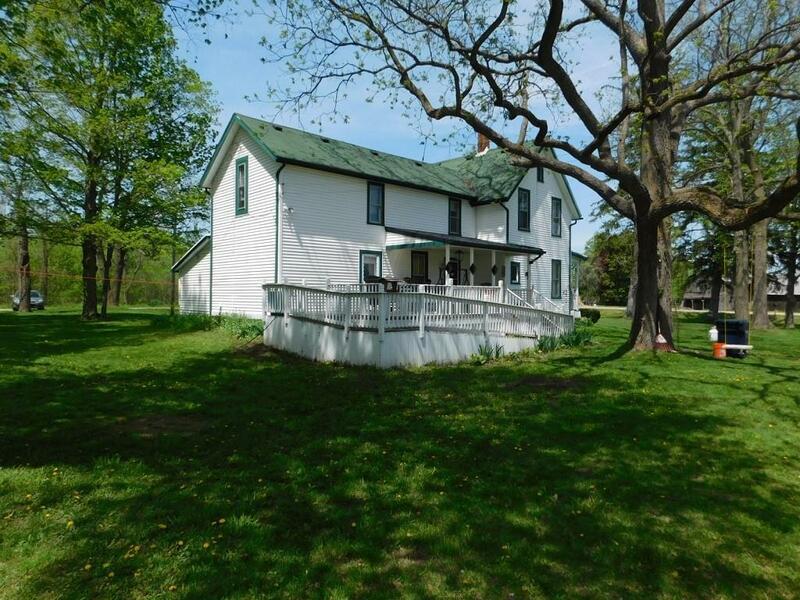 East side is a 3 bedroom and the West side is a 2 bedroom The home has some newer windows along with other updates there is a 3 car garage, a workshop, a granary, and a large farm barn with concrete and stalls. The total annual income of leases is $18,000 at the time of this listing. You can live on one side and keep the rental on the other or just rejoin the two sides of the home. Some remodeling can be done to the " hired hands" quarters. A very unique opportunity. This property adjoins 82 acres of land which can be purchased with this home and 10 to make a total of 92 acres. Call lister for details.